In 2014, Narendra Modi raised the slogan of a 'Congress-mukt Bharat' and waltzed his way to the Prime Minister's chair. Two years into the stint, Modi's slogan is the biggest trap BJP finds itself in. Replacing Congress as the mainstream centrist party — India's default operating system in Rahul Gandhi's words — was Modi's biggest aim. The trouble is, when you keep fixating on a particular point to the exclusion of everything else, the rest of the world seems to fade away and disappear. Science calls it the Troxler Effect. Even as Modi set about erasing the Congress and replacing it with BJP as the new national alternative, he failed to notice one crucial change already taking place in India. The Congress has ceased to matter. Under the 'able' leadership of the Gandhis, the Grand Old Party's presence remains in just seven states and it is well on its way to relinquish power in most of these. The three northeastern states in Meghalaya, Mizoram and Manipur have very little say in New Delhi's power equation. That leaves us with Kerala, Karnataka, Himachal Pradesh and Uttarakhand. Assembly elections in Assam have concluded. Exit polls indicate that the Left Front may return to power in Kerala. In Uttarakhand, Harish Rawat has staved off a BJP attempt at usurping power aided by some intervention from the Supreme Court but he faces a stiff fight with nine rebel MLAs set to join opposition ranks. The election isn't too far away. In Karnataka, BJP state president BS Yeddyurappa is waiting in the wings to take over from Siddaramaiah. Going by the Congress Chief Minister's track record and recent dalliances with graft, it's not a stretch to imagine that this state too may go the saffron way. Yeddyurappa, no stranger to corruption himself, has a strong backing of the local Lingayat community. In Himachal Pradesh, Virbhadra Singh is battling a CBI inquiry. Badgered by charges of corruption, he is a low-hanging fruit to be picked up by BJP's rising star Anurag Thakur. That leaves us with Assam. 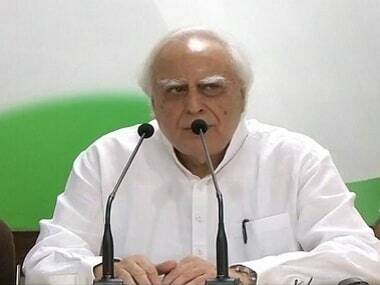 Congress, say the exit polls, are on their way out and BJP is tipped to win. In sum, in case Modi didn't notice, India is already nearly Congress-mukt and in the foreseeable future, INC may just remain a letterhead. 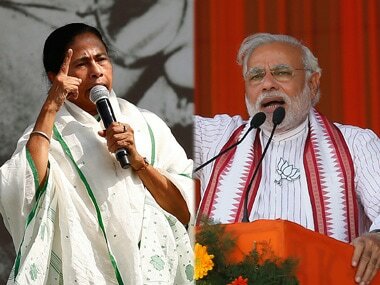 More so if the alliance with Left in West Bengal fails to unseat Mamata Banerjee. The Grand Old Party is looking to go the dinosaur way. Politics, however, abhors vacuum. If the BJP seeks to replace the Congress as the new national alternative both in terms of power and ideology, it should know that its biggest threat now lies with regional satraps. The fulcrum of the anti-BJP force will now lie with state power brokers such as Nitish Kumar, Mamata Banerjee, Mulayam Singh Yadav (depending on next year's results in UP) and even Arvind Kejriwal (if AAP manages to wrest Punjab). Most of these leaders are extremely ambitious and may find common ground, despite their political or ideological differences, in their hatred for Modi. Politically, they won’t have to do much except to figure out who among them shall be the Prime Ministerial candidate for 2019. Ideologically, they are well suited to replace Congress since all of these are so-called "secular forces". 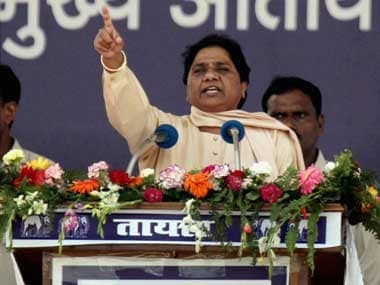 With the Grand Old Party ceding its space, the mainstreaming of the mythical Third Front in Indian politics has begun. The BJP perhaps understands this. 'Market-friendly' Modi has increased social sector spending manifold and Arun Jaitley recently came out with a pro-farmer budget. Ideologically, if a party wants to move to the centrist position in India, it must slant a little to the left simply because that is still where the median of Indian politics lies, a remnant of the deeply socialist mores of the decades since Independence. But has the BJP done enough in terms of organisational strength to increase its space in non-Hindi speaking states to meet the challenge of its rivals? BJP's strength and simultaneously its biggest weakness lie in the fact that it is still perceived as a party that indulges in majoritarian politics. And in both scenarios, that automatically makes it unviable for local, strategic tie-ups. Potential allies (like Shiv Sena) see it as a threat and provincial powers like Trinamool Congress fear losing the Muslim votebank. BJP's pan-Indian identity is also a challenge to regionalism. The provincial powers did not feel threatened by the accommodative nature of the Congress and its dole-based policies and were thus not averse to need-based dalliances. BJP's focus on nationalism and tough stance towards corruption present a mortal threat to some of these forces who have used graft and caste equations in equal measure to survive. It stands to reason, therefore, that the BJP has to go it alone. 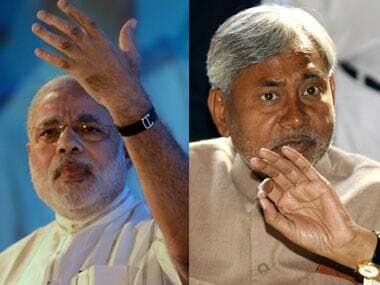 The Bihar debacle should teach it that airlifting New Delhi-based leaders is unlikely to reap political dividends unless there is a strong, local, identifiable leader around which the campaign may revolve. This is where the BJP must focus all its energies if the party wants to be a true alternative to the Congress in the long run. The Modi tsunami that gave it a once-in-30-year mandate in 2014 is unlikely to be ever repeated. BJP and party president Amit Shah's task, therefore, is cut out.